The popular downtown wedding venue gained some much-needed square footage. The new space is takes the place of an existing party tent and provides a large open area for social gatherings. This freestanding building has an open scissor truss structure and an exposed wood ceiling which bring warmth and texture to the room. A series of large openings create a bright and airy environment, and allow the indoor gathering space to flow seamlessly into the porch and lawn areas. All Saints Chapel was originally built in 1874 for the Church of the Good Shepherd. After two moves, it now resides on S. East Street, immediately adjacent to the Oakwood National Historic District. The existing 3,034 square foot building was fully restored, and is now used for weddings, meetings, and other community events. All Saints Chapel was awarded the Anthemion Award by Capital Area Preservation as well as a Sir Walter Raleigh Award for Community Appearance. Now known as the E.J. Hayes Community Center, this building is one of the larger remaining Rosenwald Schools in the state. Built in 1930, the school operated until 1970. By 2006, when it was saved by a group of retired alumni, the building had been greatly neglected. A few years later, Maurer Architecture was brought on to create plans for the restoration and renovation of the historic building. This Raleigh Landmark was transformed into a state-of the-art teen center serving the surrounding neighborhoods. 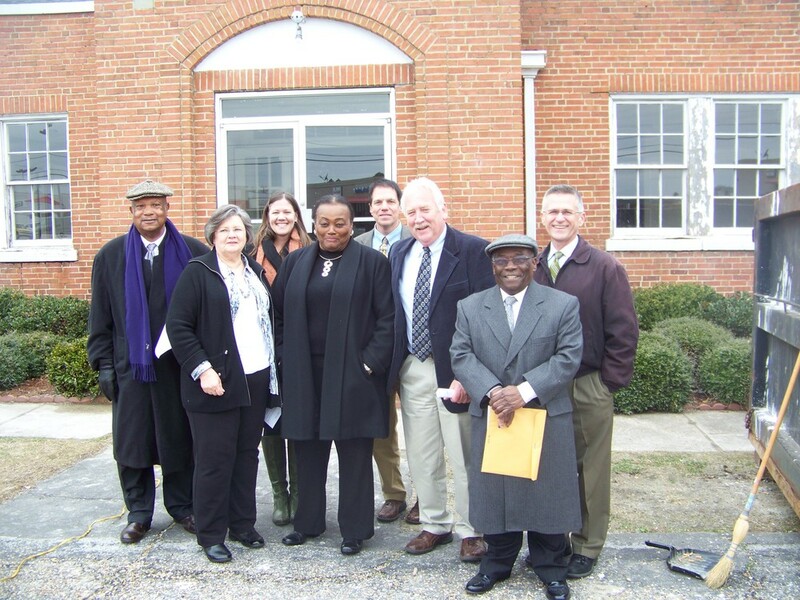 The building was formerly a Catholic school for African Americans, and the primary goal for this project was to maintain the historic fabric of the building while allowing for modern technology, accessibility, and other amenities. The community was fully engaged throughout the design process. Built in 1926, the Panther Branch Rosenwald School is one of five remaining in Wake County of the twenty-one constructed between 1919 and 1928. With restoration underway, the building will once again be a resource for the community, providing opportunities for education, growth and development. Constructed in 1928, the 2,780 square foot school was placed on the National Register study list in 2001 and designated as a Mecklenburg County Landmark in May 1989. Efforts by Silver Star Community, Inc., a 501c3 non-profit organization, are ongoing to restore and preserve the historic school for generations to come. Maurer Architecture provided services to aid in the preservation and rehabilitation of the structure as a historical site and resource center for the community-at-large with grant funds provided by the National Trust. Services included the execution of preliminary documentation and code research, coordination of a structural assessment of the building, a schematic design plan based on input from the community, and completion of schematic design drawings for pricing and futureYes planning. The design team coordinated with the State Historic Preservation Office (SHPO) and client partners throughout the process. Restoration work continues!